From the first second you launch AnyTrans, you'll enjoy the most superb management. Data load in seconds. Transfer goes blazing fast. Best of all, a single tap can get all work done. No more rigmaroles or endless waiting. An up-to-date backup is a must-have for every iOS user, but making backups regularly is not that easy - yes, we know how hard it is. Now, AnyTrans takes over the painful yet vital job. You don't need to do anything, not even take your iPhone out of pocket. All your photos, messages, app data, and more essential data and files will be backed up automatically, wirelessly, and securely on your computer with your permission. Never worry about losing anything important again. As the innate partner of iOS devices, iCloud stores your important data, but it's still a bit complicated for most users. To help you make better use of iCloud, AnyTrans gives a friendly iCloud Manager. Via an intuitive UI, you can view and extract what's needed from iCloud backups, delete old files to save precious iCloud storage, batch download photos to computer, etc. Every access is protected by the strongest 256-bit encryption. Your privacy stays absolutely private. Bought a new iPhone? Warm it up with your memories from the old phone. No matter you're upgrading from an old iPhone or Android phone, AnyTrans prepares you a data migration solution that is more convenient, faster and more complete. All your essentials will be safely moved over - photos you shot, music you enjoyed, contacts you kept, messages you saved - just everything you need for everyday use. 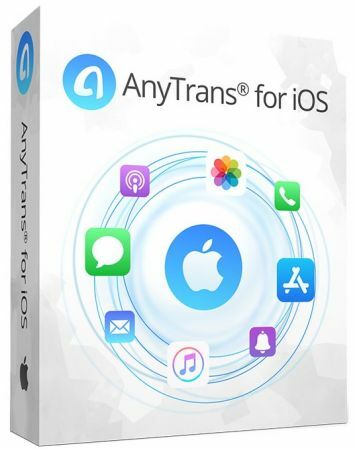 Surpassing Move to iOS app in workflow and final results, AnyTrans makes the switch from Android to iOS much easier, faster, safer, and more capable. With one tap, you'll move over everything important in minutes. Also, you can freely select and transfer specific items as needed. No fear of compatibility issues. All your data from Android phones will be converted to iOS supported formats on the fly.